Серверная плата Intel® S1200BTLR (1) Intel® Server Board S1200BTLR and Attention document. Below items are not included in 10 pack sku, but included In Disti 5 Pack only: I/O shield, (4) SATA cables, configuration labels, Intel® Server Deployment & Management DVD, and Quick Start User’s Guide. Note: the OEM 10 Pack does not ship with included items. 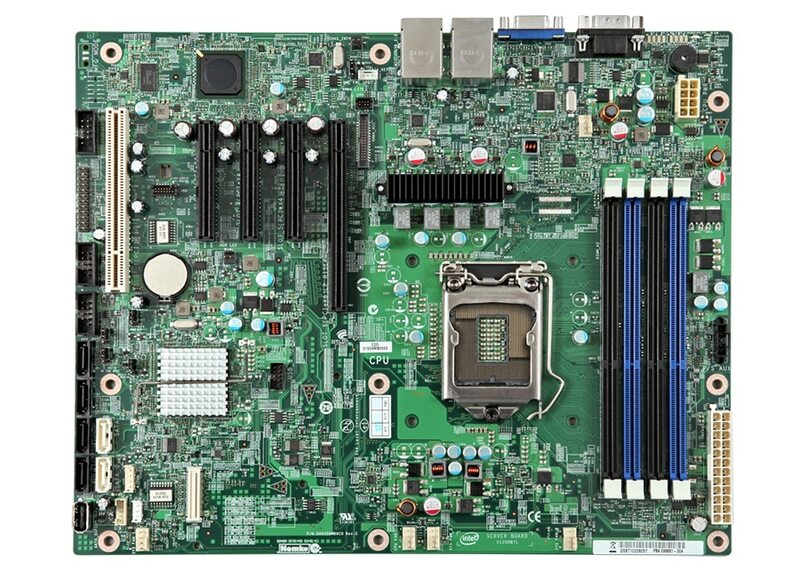 Серверная плата Intel® S1200BTLR An entry level UP server board for pedestal or rack chassis. This single socket board supports Intel® Xeon® E3-1200 processors and 4 DIMMs, and has the highly integrated single-chip baseboard management controller based on ServerEngines* Pilot III.